Yi Home Camera 2 Review 2019 — Is the Yi indoor camera right for you? Is the Yi indoor camera right for you? The YI home camera 2 has made some major improvements in video quality, upgrading to a true 1080p resolution, but has taken a few steps backward in terms of design versatility. Hands-on review of the Yi Home Camera 2. Slideshow of product set up, pros/cons, and review of the camera performance. Includes consumer reviews. With the YI Home Camera 2, YI Technology has completely redesigned its earlier 720p version into a sleeker, more modern design. It’s made some major improvements in video quality, upgrading to a true 1080p resolution, but has taken a few steps backward in terms of design versatility. We’ll break down the tradeoff between video quality and versatility in this review of the YI Home Camera 2. What’s different about YI Home Camera 1080p HD? The YI Home Camera 2 is basically a more affordable version of the Nest camera without the ability to integrate with your home automation system (but also without the service fees). The new design, although sleek and modern, feels like a step backward from YI’s earlier 720p model. What I liked about the YI Home Camera 1 was the ability to detach the camera from its base, allowing for more versatility and mounting options. The new design has integrated the camera into the base, taking away some of its versatile appeal. One of my favorite things about the YI Home Camera 2 is its simplicity. Inside the box you’ll find the camera, a 32 GB SD card, and a power cable. That’s it. Once you’ve downloaded the YI Home app, the camera is ready to set up right out of the box. The YI Home Camera 2 goes beyond simple motion detection and is programmed to recognize a human shape. If the camera detects a human, it will notify you with an alert on your smartphone. Yes and no. After several days of testing, I realized that the camera wasn’t differentiating between human shapes and other movements. That’s not to say that it’s a bad camera; I just didn’t notice a difference between walking in front of the camera and throwing a couch pillow in front of it. Both motions were detected and triggered an alert to my phone. Holding your hand within two meters and making a fist toward the camera signals YI Home Camera 2 to record a 10-second video clip and send it to your smartphone. The short answer: no. I stood in front of the camera and made enough fists to rival Bruce Lee, but I couldn’t get the camera to register the gesture and trigger a recording. This may be an easy software update fix, but right now it doesn’t work as intended. Normally, mobile-operated cameras are not ideal for baby monitors because you need an app open to hear or see what’s going on in your baby’s room. YI claims that the Home Camera 2 can recognize when your baby is crying and will send notifications to your smartphone so you can easily check on them. I don’t have a baby, but I do have a three-year-old who was willing to pretend to cry in her room like a baby to test this feature. Unfortunately, unless the app was already open I didn’t receive alerts that she was crying. The idea is solid, but right now the functionality simply isn’t there. This could be another simple fix with future software updates, so I’m keeping my fingers crossed. 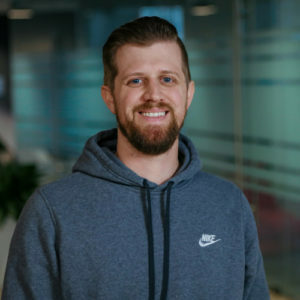 When the camera senses movement it will automatically record a ten-second video and send a notification to your smartphone so you can check in on what’s happening. The automatic recording feature works beautifully. Perhaps my favorite part is the ability to increase or decrease the frequency of notifications so I don’t get a ten-second clip every ten seconds for the same motion event. Many cameras that I’ve tested send far too many notifications, causing the user to have to filter through nonessential video clips. YI lets you adjust your settings and customize your recording notifications the way you like them. The image quality on YI Home Camera 2 took me by surprise. Most cameras advertise a 1920x1080p video resolution but few actually deliver such a high-quality image in real time. The images and video recordings received through my smartphone notifications were crystal clear and I was able to make out important details both during the day and at night. Motion detection is referred to as “human detection” within the app and on the YI Technology website. As I mentioned before, I couldn’t tell the difference between human motion or any other motion the camera captured. All motion was created equal in regards to receiving notifications. 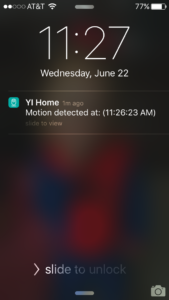 It’s worth noting that YI Home Camera 2’s motion detection feature is super sensitive, but can be adjusted within the app. This is nice if you’re like me and have a massive wheat field behind your house that blows in the breeze. The sensitivity can be turned down so I don’t receive an alert every time the wind blows. The YI Home Camera 2 1080p and its earlier 720p version seem to get confused for one another in many reviews. I came across several reviews talking about the 1080p version but using the 720p tech specs or photography. These are two completely different camera designs that should not be confused. Their similar names cause confusion but keep in mind the 720p camera is detachable from the mounting base, and offers more mounting versatility, while the 1080p camera is fixed into the mount itself and cannot be removed. “These are AWESOME alternatives to Nest Cams (Dropcam).. I have been a fan of YI products for years and used to buy them directly from China.. 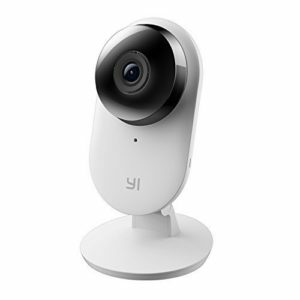 When YI started selling their products in America I was asked to test several of them.. One was the YI Home camera 1.. Because that camera was so AWESOME I decided to buy the YI HOME 2 and use along side my YI Home cam..
Do we recommend YI Home Camera 2? Although the YI 2 has a much better video quality than its previous version, we’re not a big fan of the design changes. Part of what made the YI 1 so dynamic was its versatility. It had a very similar design to the Nest Cam in that the camera could be removed from the mount and placed almost anywhere. The YI 2 has taken that away, and we’re not sure that’s a good thing. Overall, the YI Home Camera 2 is an awesome alternative to the Nest Cam, even with some of its limiting design choices. Unlike with Nest, you won’t have to pay a service charge to use the YI and the improved video quality alone makes this camera worth the Amazon price.